Vinification: A period of contact with the skins of approximately 15 days in temperature controlled steel vats. The wines is aged in French oak barriques (one third new) for 24 months. The wine is refined for six months in bottles before release. Vinification: Fermentation takes place in temperature controlled steel vats with maceration on the skins for 15 days for the merlot and the Cabernet Sauvignon. The wine is aged for 12 months in French and American oak barriques and refined for three months in bottles before release. 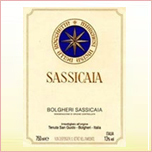 The flavour is powerful, concentrate and has great depth with sweet and balanced tannins. A rich and dense wine, yet harmonious and elegant. A decisively long finish with significant organoleptic depth and a polyphenolic structure which ensures the wine's extraordinary longevity. An excellent, well-balanced structure that is well rounded, gentle softness, having a density without sharpness. Its excellent organoleptic depth, which is soft and round, and good polyphenolic structure, results in a wine that is best enjoyed upon release. Grappa is exclusively the Italian aqua-vitae obtained through distillation of the marc. Grappa, together with wine and oil, has taken its rightful place among three of the most typical elements of a Mediterranean diet. 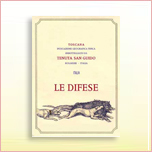 The coming togther of the two great families, Incisa Della Rocchetta and Jacopo Poli, develop a project with a strong cultural background and real understanding of what is meant by value and quality. The objective is to marry the histories, the passions and the expertise of the two families to create a new product and only one of its kind, which encapsulates centuries of culture and traditions. Grappa di Sassicaia expresses the elegant, finely-structured fruit and herbal aromas of the Cabernet varieties with the intensity of the spirit mellowed by the toast and vanilla naunces of the oak. 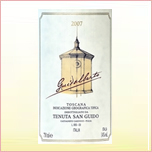 Tenuta San Guido extra virgin olive oil is produced at the estate of Marchesi Incisa della Rocchetta. 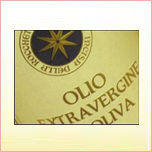 The olive oil is made from the first cold pressing of olives and has a low acidity. 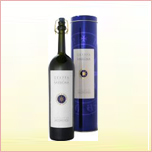 The olive oil has an unusual aroma of olives, apples and spice with just a hint of liquorice. It tastes grassy-fresh and nutty with a touch of sorrel bitterness and lingering pepper. Olive types used are Frantoio, Reggiola and Moraiolo. Picked by hand in November and early December. The oil remains unfiltered.